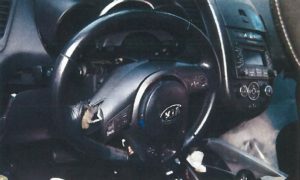 A Dallas County, Texas, court earlier this year dismissed LKQ and dealership Classic Kia from a lawsuit alleging they shared blame for the failure of a Kia’s airbag to blow in a fatal crash. Judge Maricela Moore agreed in January with both defendants’ motions to dismiss them with prejudice from the more than $1 million litigation brought last year by attorney Todd Tracy. Those rulings came shortly after another key development in the negligence case: The airbag allegedly was counterfeit, according to an amended version of Loughran et al v. Sanders et al filed Nov. 28, 2018. Loughran’s father had bought the vehicle just days prior, allegedly unaware it had been repaired with what Tracy initially called a recycled airbag assembly and module. However, sometime between the second amended complaint in July 2018 and the third complaint in November 2018, the plaintiffs appear to have concluded the airbag was a fake. The lawsuit describes the identity of the allegedly fake airbag’s installer as a “mystery.” It also does not identify the source of the part itself. “In Texas, the penalty for installing a counterfeit airbag that results in the death of a person is a First Degree Felony that can result in life imprisonment,” the lawsuit states. The Soul had been in a prior collision at some unspecified point and ended up at Insurance Auto Auctions in 2016. Tracy last year called the CARFAX report clean. IAA records provided in response to the case show that the crash does appear on an AutoCheck report, which states that the airbag deployed and “MODERATE DAMAGE” was reported. 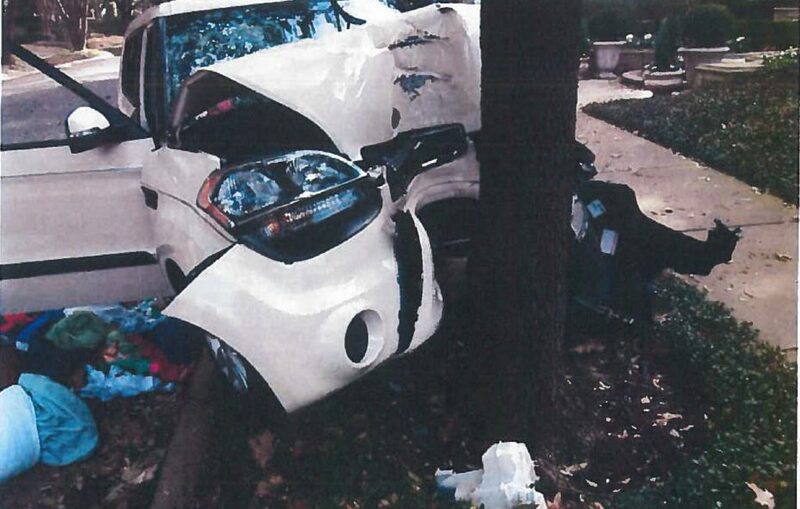 IAA records show Progressive deemed the vehicle a total loss following a prior impact which left the Soul, valued at about $11,929.43, with $11,055.92 worth of damage. Progressive in June 2016 indicated that the vehicle deserved a clean title given its cash value exceeding the repair cost and only “MINOR STRUCTURAL DAMAGES,” according to IAA records. IAA itself estimated the vehicle to have suffered primary front-end damage and secondary frame damage. IAA sold the Kia in October 2016 to Al Bayati Motors, whose owner also owns Extreme Auto Care, according to the lawsuit. Extreme Auto Care sold the Kia to Jimmy Sanders Jr. of the Complete Auto Group (which is owned by another defendant, Otmane Barre) later that year. It’s unclear who repaired the damage flagged earlier by Progressive and IAA. Extreme Auto Care denied all allegations in its original July 2018 answer, according to Dallas County court records. Messages left for its counsel early Thursday afternoon inquiring if it had any updated comment were not returned. Sanders, Barre and the Compete Auto Group have not yet answered formally in court documents at all. A trial is set for September. Sanders did not return phone and email messages left seeking comment early Thursday afternoon. Barre on Thursday was not in the office of Complete Collision, with which he is also affiliated, but a representative said she would pass on a message. Sanders in December 2016 had the vehicle examined by Classic Kia, which said it advised him the Soul needed a replacement airbag module and offered to sell him one and install it. The airbag light was on and a diagnostic trouble code recorded a full-state crash, Classic Kia explained in its motion to exit the case. Sanders wrote in response to a plaintiffs’ records request that he ordered a recycled version of the module in December 2016 from LKQ and had North Texas Auto Experts install the part at an unspecified date. “After that, the vehicle was inspected, + passed Texas State Inspection,” Sanders wrote. While LKQ sold the recycled module, it is not alleged to have any role in the allegedly fake airbag. A North Texas Auto Experts representative said in response to a plaintiff’s records request that the company closed in October 2017 and had no documents for the Soul or most vehicles serviced since November 2016. Loughran died Jan. 11, 2017. Tracy last year said he planned to add the company as a defendant, but they were not among those accused in the most current version of the litigation. A former employee of North Texas Auto Experts declined to comment last year, citing the potential litigation. LKQ said discovery had revealed no evidence supporting it committed gross negligence, negligence or fraud. Classic Kia repeatedly stressed — in bold — that Sanders didn’t replace the airbag module despite the dealership recommending he do so. Thus, it wasn’t showing negligence, it said. The judge obviously agreed with both parties, granting the motions.